The dance we do to make ends meet, connect with appointments and satisfy the endless stream of things everyone else needs blurs our vision from time to time. We start thinking in terms of the scoreboard. Spending more and more money and effort to get as close to perfection as possible. Blah blah and blah. I’m no stranger to slowing things down, but sometimes I even surprise myself. I’d been on the sideline for fishing for about a month due to work and who knows what else, when we planned to fish last weekend. Those plans dissolved and we swore we’d get out this weekend. We’re still basically going twice a week these days. The fishing has been consistent, not great but consistent for a couple of weeks now. 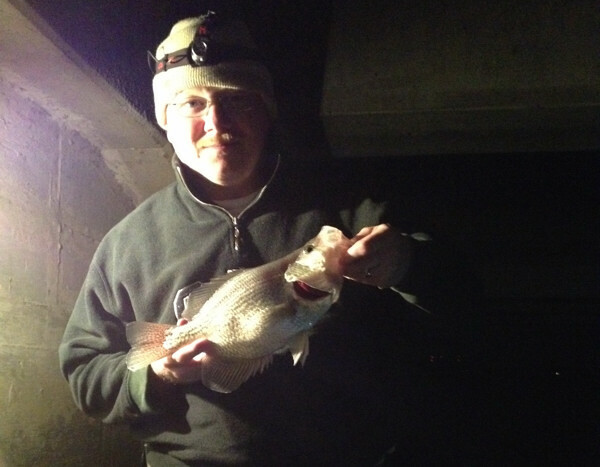 I took my kayak bass fishing buddy out last night for his first crappie run of the year. It was miserably slow from afternoon until about 10pm or later. I knew the dam was drawing very little water until midnight and just assumed it would be a bad trip altogether. We ended up picking up enough short fish to keep us interested until some keepers came along. 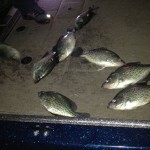 Between 11pm and midnight someone let the dogs out and we nearly ran out of minnows in a firestorm of biting crappie. We walked away with 17 keepers and were almost shocked at how much the fishing picked up that last hour. 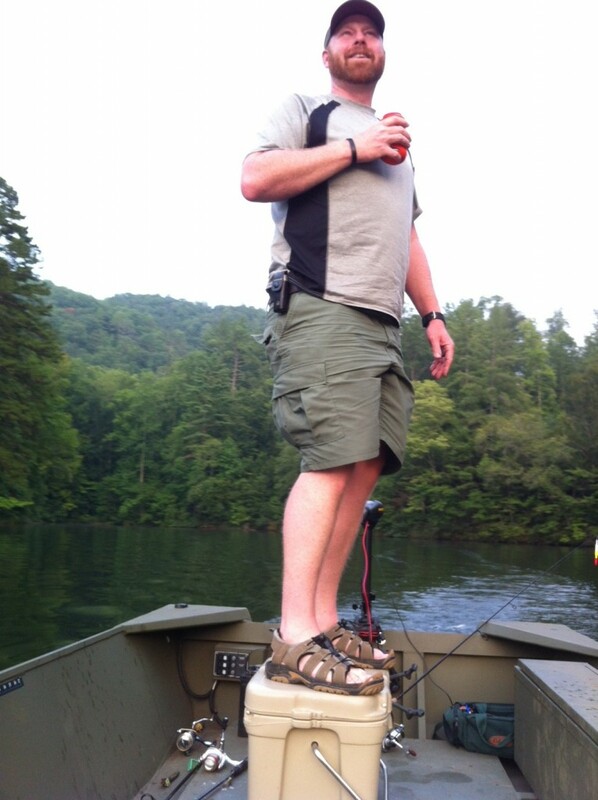 To be fair, our average catch was closer to 10″ than 14″ but we had a blast trying to keep minnows on hooks. This weekend was too busy for me to get any fishing done. Ironically, frying fish on Saturday night prevented me from catching fish to eat. As the weekend wound down on Sunday, I made my way to crappie spot and met my neighbor on his way home from the golf course. Our medium shiners were extra large and possibly contributed to the lack of fishing action. I’d picked up some fluorescent submersible lights on Saturday as well as a replacement globe for a donated Coleman lantern. So a full lighting package was employed soon after sunset. 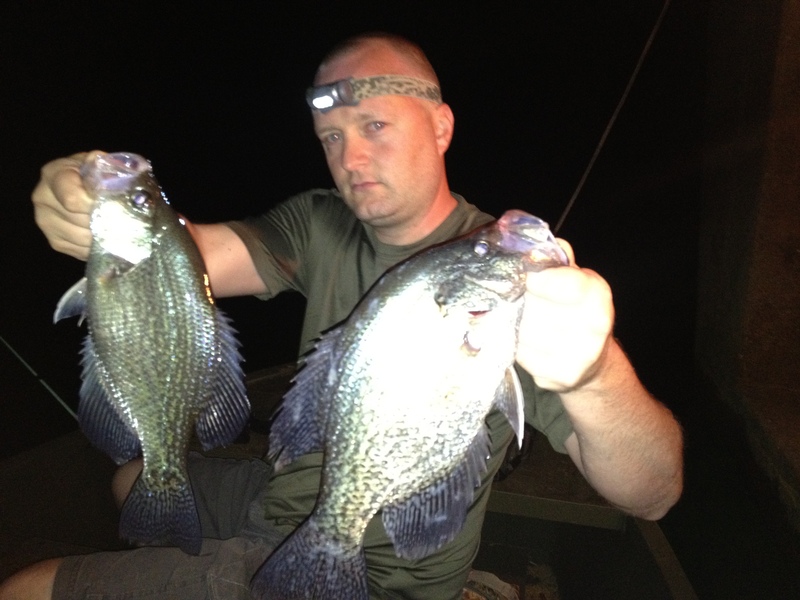 We’ve decided that fishing for crappie at night without them is a significant disadvantage. We didn’t catch near as many fish as we did a few days before, but almost every fish caught was a keeper. 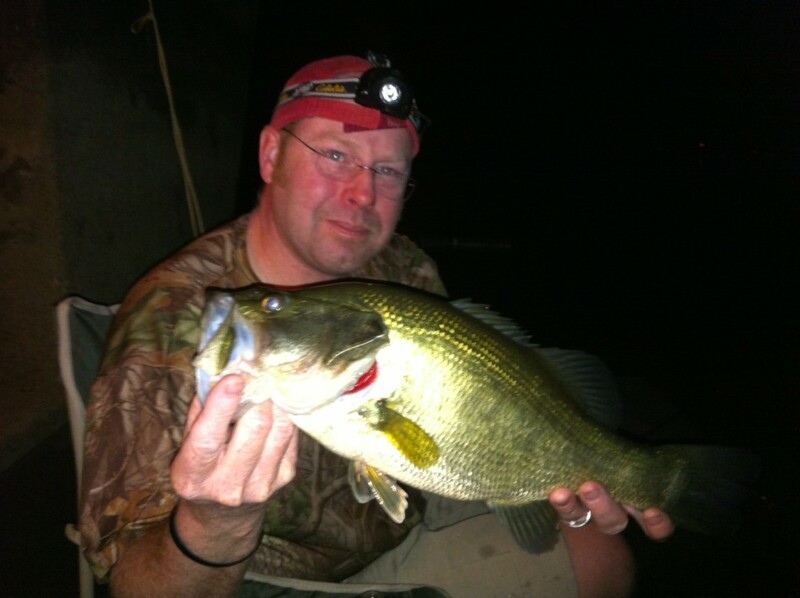 Larger bait catches larger fish. It would seem like a no brainer, but we look for a balance between catching a bunch of fish and the more boring version like Sunday’s trip that ended up yielding 9 keepers between 8pm and 11pm. We’re still finding plenty of fish with eggs, so we can only assume to be on the first half of the spawn cycle. 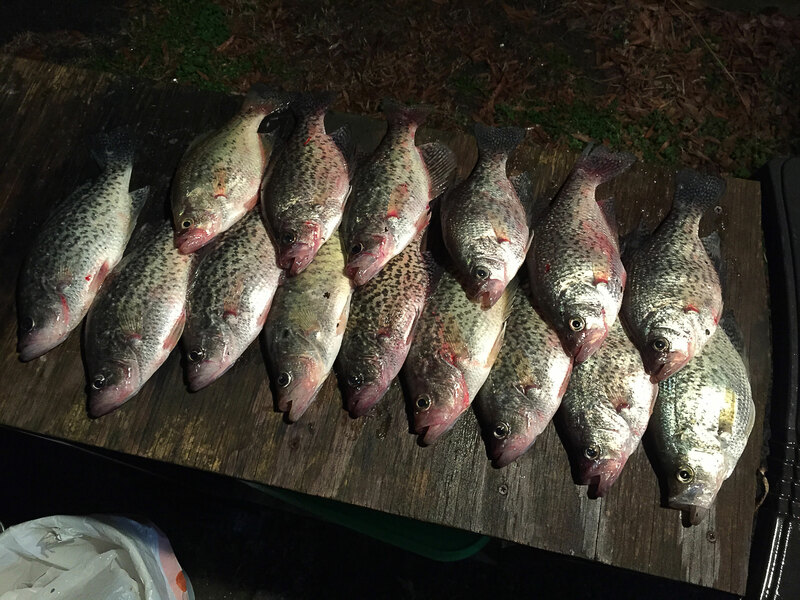 The mid-week crappie trip was bitter-sweet. We made some adjustments to our game and caught a ton of fish, but the pollen is at an all-time high and it’s trying to kill me. The good news is we’re seeing signs of fish in all phases of spawning, so now is the time for sure. After Monday’s adventures we started working through the validation that you must have underwater lights to have the most success at night. Last night we went full lighting package. We also decided to use smaller minnows after some investigation and discussion. What we learned was that you have to use lights, and as many as you can afford to use. We also learned smaller minnows will keep you busier but definitely average smaller fish in the process. We boated over 70 fish but only about 12 of which were keepers. This is a stark contrast to Monday where we had 6 nice keeps and only caught about 30 fish total. 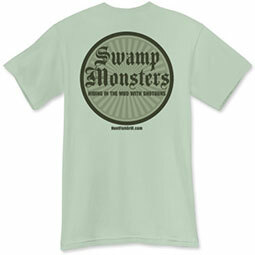 Bigger minnows for keepers, case closed. After a decent Wednesday night outing, we gave it another go on Friday. Unfortunately a harsh weather change locked their jaws up tight. 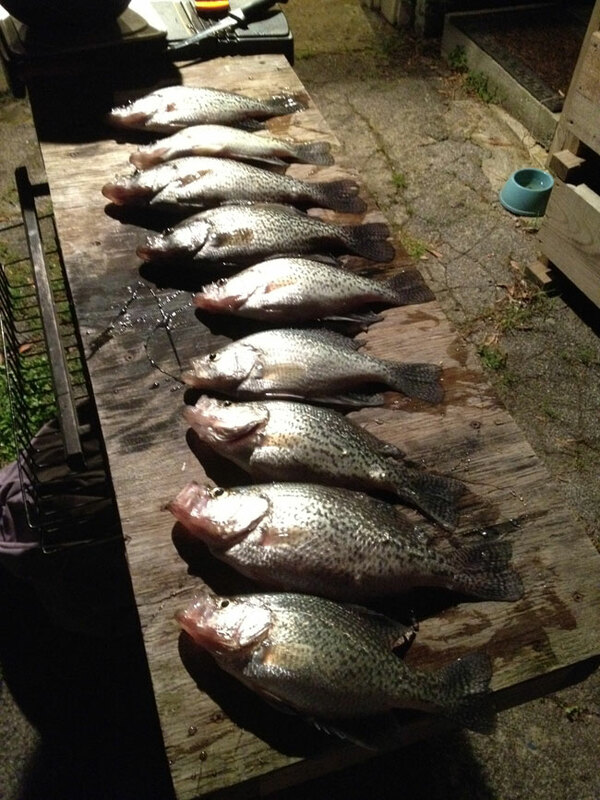 we caught two keepers in five hours of fishing that ended up at 41 degrees by about midnight. 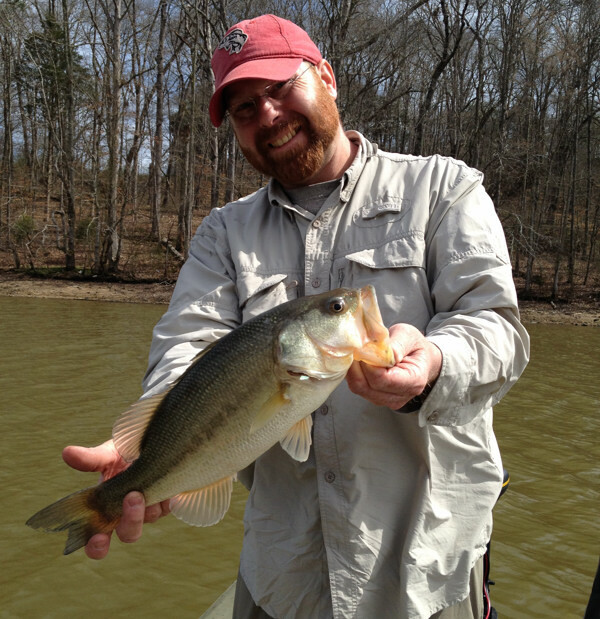 As temperatures returned to normal, Sunday afternoon was wide open for a double special fishing trip. For the first time, my custom aluminum boat hit the lake. Yeah, it only has a trolling motor for power, but it hit the water like a champ. The weather was good except for the winds picking up to about ten MPH later in the day. I only caught two fish, but they were good fish on light tackle. Not a bad way to spend a Sunday afternoon. 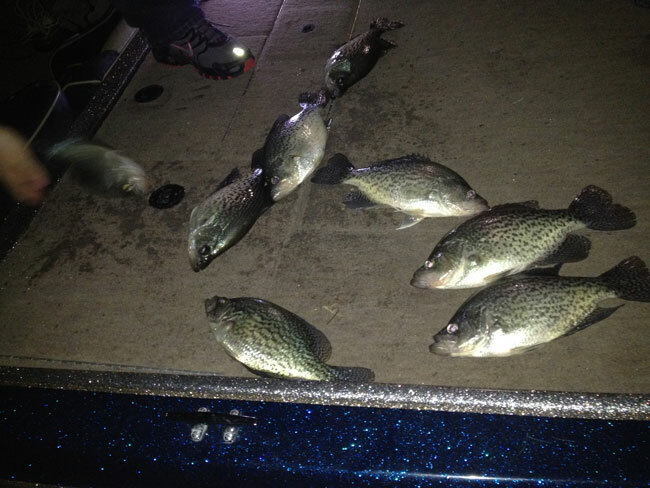 It looks like crappie season is full underway starting any minute now.